Besides traditional festivals, India has a number of festivals that are organized by the Tourism Department. These fairs and festivals are held to give the visitors a unique and genuine taste of India. Whether you wish to attend a festival in thenorth, south, east or west of India we have a package for you. Our Festival packages include everything from air, local transport , accommodation, sightseeing , meals and a lot of fun. Festivals in India are colourful, prayerful, joyful, entertaining with plenty to eat and drink. The enthusiasm is contagious and intoxicating as the people invite you to join them in song and dance. Festivals are celebrated for every season. Being a highly spiritual country, festivals are at the heart of people’s lives in India. Indian Festivals mesmerize you as they vary from one fair and festival to another. India’s festivals give you the great opportunity to taste the medley of cultures along with the vibrant life of the people. Festivals in India are like no other. They kidnap you from the everyday mundane life into a delightfully filled space of fun and laughter. 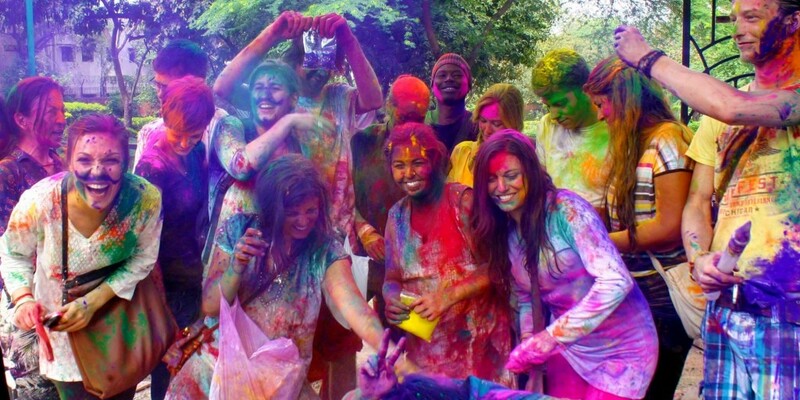 Festivals in India Tour denote color, cultures, and appetizing food amidst warm and hospitable people. Festival tours also give you the opportunity to get acquainted with the religions of India: Hinduism, Sikhism, Islam, Christianity, Jainism, Buddhism, Judaism etc…Our specially designed festival tours invite you to vacation in India and experience this ethnically and culturally diverse land. The vast majority of Indians engage in religious rituals on a daily basis and many rituals result in great festivals. The most famous of Indian Festivals are Diwali, Holi, Kerala Temple Festivals, Pushkar Camel Fair and many more. Our Festival tours take you on the most enjoyable and gratifying experience, so join us on one of our FESTIVAL TOURS to India.